We promote children’s right to be strong, resilient and listened to by creating an environment in our setting that encourages children to develop a positive self image, which includes their heritage arising from their colour and ethnicity, their languages spoken at home, their religious beliefs, cultural traditions and home background. To build a culture of safety in which children are protected from abuse and harm. To respond promptly and appropriately to all incidents or concerns of abuse. To promote awareness of child abuse issues and to empower young children, promoting their right to be strong, resilient and listened to. Discovery Vine Ltd is committed to building a ‘culture of safety’ in which children are protected from abuse and harm in all areas of its service delivery. We ensure all staff and parents are made aware of our safeguarding policies and procedures. Candidates are informed of the need to carry out ‘enhanced disclosure’ checks with the Criminal Records Bureau before posts can be confirmed. Where applications are rejected because of information that has been disclosed, applicants have the right to know and to challenge incorrect information. We abide by Ofsted requirements in respect of references and Criminal Record Bureau checks for staff and volunteers, to ensure that no disqualified person or unsuitable person works at the setting or has access to the children. We abide by the Protection of Vulnerable Groups Act requirements in respect of any person who is dismissed from our employment, or resigns in circumstances that would otherwise have lead to dismissal for reasons of child protection concern. We have procedures for recording the details of visitors to the setting. Discovery Vine Ltd is committed to responding promptly and appropriately to all incidents or concerns of abuse that may occur and to work with statutory agencies in accordance with the procedures that are set down in ‘What to do if you’re worried a child is being abused’ (2015). When children are suffering from physical, sexual or emotional abuse, or may be experiencing neglect, this may be demonstrated through the things they say (direct or indirect disclosure) or through changes in their appearance, their behaviour, or their play. Where such evidence is apparent, the child’s key person makes a dated record of the details of the concern and discusses what to do with the setting leader or manager who is acting as the ‘designated person’. The information is stored on the child’s personal file. We refer concerns to the local authority children’s social care department and co-operate fully in any subsequent investigation. NB In some cases this may mean the police or another agency identified by the Local Safeguarding Children’s Board. These records are signed and dated and kept in the child’s personal file which is kept securely and confidentially. Lancashire County Council’s publication ‘Child Protection Policies and Procedures’’ contains detailed procedures for making a referral to the local social care team, as well as a template form for recording concerns and making a referral. This is based on ‘What to do if you’re worried a child is being abused’ (2015). We keep a copy of this document and follow the detailed guidelines given. All members of staff are familiar with the policies and procedures and follow the procedures for recording and reporting. If a suspicion of abuse is recorded, parents are informed at the same time as the report is made, except where the guidance of the Local Safeguarding Children Board does not allow this. This will usually be the case where the parent is the likely abuser. In these cases the investigating officers will inform parents. We have a copy of ‘What to do if you’re worried a child is being abused’ for parents and staff and all staff are familiar with what to do if they have concerns. We have procedures for contacting the local authority on child protection issues, including maintaining a list of names, addresses and telephone numbers of social workers, to ensure that it is easy, in any emergency, for the setting and social services to work well together. If a referral is to be made to the local authority social care department, we act within the area’s Safeguarding Children and Child Protection guidance in deciding whether we must inform the child’s parents at the same time. We follow the guidance of the Local Safeguarding Children Board when responding to any complaint that a member of staff, or volunteer within the setting, or anyone living or working on the premises occupied by the setting, has abused a child. We respond to any disclosure by children or staff that abuse by a member of staff or volunteer within the setting, or anyone working on the premises occupied by the setting, may have taken, or is taking place, by first recording the details of any such alleged incident. We refer any such complaint immediately to the local authority’s social care department to investigate. We also report any such alleged incident to Ofsted and what measures we have taken. We are aware that it is an offence not to do this. Where the management committee and children’s social care agree it is appropriate in the circumstances, the management will suspend the member of staff on full pay, or the volunteer, for the duration of the investigation. This is not an indication of admission that the alleged incident has taken place, but is to protect the staff as well as children and families throughout the process. Where a member of staff or volunteer has been dismissed due to engaging in activities that caused concern for the safeguarding of children or vulnerable adults, we will notify the Independent Safeguarding Authority (ISA) of relevant information so that individuals who pose a threat to children (and vulnerable groups), can be identified and barred from working with these groups. Discovery Vine Ltd is committed to promoting awareness of child abuse issues throughout its training and learning programmes for adults. It is also committed to empowering young children, through its early childhood curriculum, promoting their right to be strong, resilient and listened to. We seek out training opportunities for all adults involved in the setting to ensure that they are able to recognise the signs and signals of possible physical abuse, emotional abuse, sexual abuse and neglect and that they are aware of the local authority guidelines for making referrals. We ensure that all staff know the procedures for reporting and recording their concerns in the setting. We introduce key elements of keeping children safe into our programme to promote the personal, social and emotional development of all children, so that they may grow to be strong, resilient and listened to and that they develop an understanding of why and how to keep safe. We create within the setting a culture of value and respect for the individual, having positive regard for children’s heritage arising from their colour, ethnicity, languages spoken at home, cultural and social background. We make clear to parents our role and responsibilities in relation to child protection, such as for the reporting of concerns, providing information, monitoring of the child, and liaising at all times with the local children’s social care team. Early years settings are committed to providing quality provision based on equality of opportunity for all children and their families. All staff are committed to doing all they can to enable ‘looked after’ children in their care to achieve and reach their full potential. Definition of ‘Looked after Children’ (LAC): Children and young people become ‘looked after’ if they have either been taken into care by the local authority, or have been accommodated by the local authority (a voluntary care arrangement). Most LAC will be living in foster homes, but a smaller number may be in a children’s home, living with a relative or even placed back home with their natural parent(s). We recognise that children who are being looked after have often experienced traumatic situations; physical, emotional or sexual abuse or neglect. However, we also recognise that not all looked after children have experienced abuse and that there are a range of reasons for children to be taken in to the care of the local authority. Whatever the reason, a child’s separation from their home and family signifies a disruption in their lives that has impact on their emotional well-being. In our setting, we place emphasis on promoting children’s right to be strong, resilient and listened to. Our policy and practice guidelines for looked after children are based on these two important concepts, attachment and resilience. The basis of this is to promote secure attachments in children’s lives as the basis for resilience. These aspects of well-being underpin the child’s responsiveness to learning and are the basis in developing positive dispositions for learning. For young children to get the most out of educational opportunities they need to be settled enough with their carer to be able to cope with further separation, a new environment and new expectations made upon them. The term ‘looked after child’ denotes a child’s current legal status; this term is never used to categorise a child as standing out from others. We do not refer to such a child using acronyms such as LAC. The designated person and the key person liaise with agencies, professionals and practitioners involved with the child and his or her family and ensures appropriate information is gained and shared. The setting recognises the role of the local authority social care department as the child’s ‘corporate parent’ and the key agency in determining what takes place with the child. Nothing changes, especially with regard to the birth parent’s or foster carer’s role in relation to the setting without prior discussion and agreement with the child’s social worker. At the start of a placement there is a professionals meeting that will determine the objectives of the placement and draw up a care plan that incorporates and the child’s learning needs. This plan is reviewed after two weeks, six weeks and three months. Thereafter at three to six monthly intervals. with the social worker’s agreement, and as part of the plan, the birth parent(s) should be involved in the setting’s activities that include parents, such as outings, fun-days etc alongside the foster carer. The settling-in process for the child is agreed. It should be the same as for any other child, with the foster carer taking the place of the parent, unless otherwise agreed. It is even more important that the ‘proximity’ stage is followed until it is visible that the child has formed a relationship with his or her key person sufficient to act as a ‘secure base’ to allow the gradual separation from the foster carer. This process may take longer in some cases, so time needs to be allowed for it to take place without causing further distress or anxiety to the child. Further observations about communication, interests and abilities will be noted to firm a picture of the whole child in relation to the Early Years Foundation Stage 6 areas of learning. Transition to school will be handled sensitively and the designated person and or the child’s key person will liaise with the school, passing on relevant information and documentation with the agreement of the looked after child’s birth parents. In the event that a child is not collected by an authorised adult at the end of a session/day, the setting puts into practice agreed procedures. These ensure the child is cared for safely by an experienced and qualified practitioner who is known to the child. We will ensure that the child receives a high standard of care in order to cause as little distress as possible. Names, addresses and telephone numbers of adults who are authorised by the parents to collect their child from the setting, for example a childminder or grandparent. On occasions when parents or the persons normally authorised to collect the child are not able to collect the child, they provide us with written details of the name, address and telephone number of the person who will be collecting their child. We agree with parents how to verify the identity of the person who is to collect their child. Parents are informed that if they are not able to collect the child as planned, they must inform us so that we can begin to take back-up measures. We provide parents with our contact telephone number. We inform parents that we apply our child protection procedures as set out in our child protection policy in the event that their children are not collected from setting by an authorised adult within one hour after the setting has closed and the staff can no longer supervise the child on our premises. If this is unsuccessful, the adults who are authorised by the parents to collect their child from the setting – and whose telephone numbers are recorded on the Registration Form – are contacted. The child stays at setting in the care of two fully-vetted workers until the child is safely collected either by the parents or by a social care worker. Social Care will aim to find the parent or relative if they are unable to do so, the child will become looked after by the local authority. Under no circumstances do staff to go to look for the parent, nor do they take the child home with them. As soon as it is noticed that a child is missing the key person/staff alerts the setting leader. The setting leader will carry out a thorough search of the building and outdoor area. The setting leader talks to the staff to find out when and where the child was last seen and records this. The setting leader contacts the management and reports the incident. The management carries out an investigation and may come to the setting immediately. As soon as it is noticed that a child is missing, staff on the outing ask children to stand with their designated person and carry out a headcount to ensure that no other child has gone astray. One staff member searches the immediate vicinity but does not search beyond that. The setting leader or manager is contacted immediately and the incident is reported. The setting leader contacts the police and reports the child as missing. The setting leader contacts the parent, who makes their way to the setting or outing venue as agreed with the setting leader. The setting is advised as the best place, as by the time the parent arrives, the child may have been returned to the setting. In an indoor venue, the staff contact the venue’s security who will handle the search and contact the police if the child is not found. The setting leader, or designated staff member may be advised by the police to stay at the venue until they arrive. Staff keep calm and do not let the other children become anxious or worried. The setting leader together with the representative from the management speaks with the parent(s). The management carry out a full investigation taking written statements from all the staff in the room or who were on the outing. What staff/children were in the group/outing and the name of the staff designated responsible for the missing child. In the event of disciplinary action needing to be taken, Ofsted is informed. The staff will feel worried about the child, especially the key person or the designated carer responsible for the safety of that child for the outing. They may blame themselves and their feelings of anxiety and distress will rise as the length of time the child is missing increases. Staff may be the understandable target of parental anger and they may be afraid. Setting leaders need to ensure that staff under investigation are not only fairly treated but receive support while feeling vulnerable. The parents will feel angry, and fraught. They may want to blame staff and may single out one staff member over others; they may direct their anger at the setting leader. When dealing with a distraught and angry parent, there should always be two members of staff, one of whom is the setting leader and the other should be a member of management or representative. No matter how understandable the parent’s anger may be, aggression or threats against staff are not tolerated, and the police should be called. In accordance with the severity of the final outcome, staff may need counselling and support. If a child is not found, or is injured, or worse, this will be a very difficult time. The chairperson or proprietor will use their discretion to decide what action to take. We take steps to ensure that there are effective procedures in place to protect children, young people and vulnerable adults from the unacceptable use of mobile phones and cameras in the setting. At the beginning of each individual’s shift, personal mobile phones are stored in a dedicated box in a locked cupboard. In the event of an emergency, personal mobile phones may be used in the privicy of the office, with permission from the manager. Members of staff will not use their mobile phones for taking photographs of children. Members of staff must not bring their own cameras or video recorders into the setting. Photographs and recordings of children are only taken for valid reasons, i.e. to record their learning and development, or for displays within the settng. Photographs or recordings of children are on;y ttaken on equipment belonging to the setting. Photographs and recordings of children are only taken if there is written permission to do so (found on the individual child’s registration Form). Children and young people will not be permitted to bring electronic equipmemt with cameras into the setting. We provide a staffing ratio in line with the Safeguarding and Welfare requirements of the Early Years Foundation Stage to ensure that children have sufficient individual attention and to guarantee care and education of a high quality. Our staff are appropriately qualified and we carry out checks for criminal and other records through the Criminal Records Bureau in accordance with statutory requirements. We use Ofsted guidance on obtaining references and enhanced criminal record checks through the Criminal Records Bureau for staff and volunteers who will have unsupervised access to children. This is in accordance with requirements under the Safeguarding Vulnerable Groups Act 2006 for the vetting and barring scheme. We keep all records relating to employment of staff and volunteers, in particular those demonstrating that checks have been done, including the date and number of the enhanced CRB check. Staff are expected to disclose any convictions, cautions, court orders, reprimands and warnings which may affect their suitability to work with children – wjether received befire, or at any time during, their employment with us. Our setting leader and deputy hold the CACHE Level 3 Diploma in Children and Young People’s Workforce or an equivalent or higher qualification and a minimum of half of our staff hold the CACHE Level 2 Certificate in Children and Young People’s Workforce or an equivalent or higher qualification. We provide regular in-service training to all staff – whether paid staff or volunteers – through external agencies. If a member of staff is taking medication which may affect their ability to care for children, we ensure that they seek further medical advice. Staff will only work directly with the children if medical advice confirms that the medication is unlikely to impair their ability to look after children properly. If we have reason to believe that a member of staff is under the influence of alcohol or any other substance that may affect their ability to care for children, they will not be allowed to work directly with the children and further action will be taken. In term time only settings, our staff take their holiday breaks when the setting is closed. Where staff may need to take time off for any reason other than sick leave or training, this is agreed with the manager with sufficient notice. Managers organise staff annual leave so that ratios are not compromised. We have contingency plans to cover staff absences. This setting recognises that qualifications and training make an important contribution to the quality of the care and education provided by early years settings. As part of our commitment to quality, we offer placements to students undertaking early years qualifications and training. We also offer placements for school pupils on work experience. We aim to provide for students on placement with us experiences that contribute to the successful completion of their studies and that provide examples of quality practice in early years care and education. We require students on qualification courses to meet the ‘suitable person’ requirements of Ofsted and have CRB checks carried out. we require students in our settings to have sufficient understanding and use of English to contribute to the well-being of children in our care. Familiarising with the building, health and safety and fire procedures. The induction period lasts two weeks. The manager inducts new staff and volunteers. The senior manager inducts new managers. In our setting staff are able to take action to apply first aid treatment in the event of an accident involving a child or adult. At least one member of staff with current first aid training is on the premises or on an outing at any one time. The first aid qualification includes first aid training for infants and young children. We aim to ensure that first aid training is local authority approved and is relevant to staff caring for young children. Triangular bandages (ideally at least one should be sterile) – x 4.
a) Small (formerly Medium No 8) – x 3.
b) Medium (formerly Large No 9) – HSE 1 – x 3.
c) Large (formerly Extra Large No 3) – HSE 2 – x 3. Composite pack containing 20 assorted (individually-wrapped) plasters 1. Sterile eye pads (with bandage or attachment) eg No 16 dressing 2. Container or 6 safety pins 1. Guidance card as recommended by HSE 1. At the time of admission to the setting, parents’ written permission for emergency medical advice or treatment is sought. Parents sign and date their written approval. We believe that children settle best when they have a key person to relate to, who knows them and their parents well, and who can meet their individual needs. Research shows that a key person approach benefits the child, the parents, the staff and the setting by providing secure relationships in which children thrive, parents have confidence, staff are committed and the setting is a happy and dedicated place to attend or work in. We want children to feel safe, stimulated and happy in the setting and to feel secure and comfortable with staff. We also want parents to have confidence in both their children’s well-being and their role as active partners with the setting. They key person role is set out in the Safeguarding and Welfare Requirements of the Early Years Foundation Stage. Each setting must offer a key person for each child. The key person is responsible for the induction of the family and for settling the child into our setting. The key person works with the parent to plan and deliver a personalised plan for the child’s well-being, care and leaning. The key person acts as the key contact for the parents and has links with other carers involved with the child, such as a childminder, and co-ordinates the sharing of appropriate information about the child’s development with those carers. A key person is responsible for developmental records and for sharing information on a regular basis with the child’s parents to keep those records up-to-date, reflecting the full picture of the child in our setting and at home. The key person encourages positive relationships between children in her/his key group, spending time with them as a group each day. We provide a back-up key person so the child and the parents have a key contact in the absence of the child’s key person. We promote the role of the key person as the child’s primary carer in our setting, and as the basis for establishing relationships with other staff and children. Before a child starts to attend the setting, we use a variety of ways to provide his/her parents with information. These include written information (including our prospectus and policies), displays about activities available within the setting, information days and evenings and individual meetings with parents. We may offer a home visit by the person who will be the child’s key person, to ensure all relevant information about the child can be made known. We use pre-start visits and the first session at which a child attends to explain and complete with his/her parents the child’s registration records. We have an expectation that the parent, carer or close relative, will stay for most of the session during the first week, gradually taking time away from their child, increasing this as and when the child is able to cope. We judge a child to be settled when they have formed a relationship with their key person; for example the child looks for the key person when he/she arrives, goes to them for comfort, and seems pleased to be with them. The child is also familiar with where things are and is pleased to see other children and participate in activities. We recognise that some children will settle more readily than others but that some children who appear to settle rapidly are not ready to be left. We expect that the parent will honour the commitment to stay for at least the first week, or possibly longer, until their child can stay happily without them. Within the first four to six weeks of starting we discuss and work with the child’s parents to start to create their child’s record of achievement. The progress check will describe the actions that will be taken by the setting to address any developmental concerns (including working with other professionals where appropriate) as agreed with the parent(s). We provide care for healthy children through preventing cross infection of viruses and bacterial infections and promote health through identifying allergies and preventing contact with the allergenic substance. If children appear unwell during the day – have a temperature, sickness, diarrhoea or pains, particularly in the head or stomach – the manager calls the parents and asks them to collect the child, or send a known carer to collect on their behalf. If a child has a temperature, they are kept cool, by removing top clothing, sponging their heads with cool water, but kept away from draughts. Temperature is taken using a forehead thermometer strip kept in the first aid box. In extreme cases of emergency the child should be taken to the nearest hospital and the parent informed. Parents are asked to take their child to the doctor before returning them to nursery; the nursery can refuse admittance to children who have a temperature, sickness and diarrhoea or a contagious infection or disease. After diarrhoea, parents are asked to keep children home for 48 hours or until a formed stool is passed. The setting has a list of excludable diseases and current exclusion times. The full list is obtainable from www.hpa.org.uk/servlet/ContentServer?c=HPAweb_C&cid=1194947358374&pagename=HPAwebFile and includes common childhood illnesses such as measles. If a child or adult is diagnosed suffering from a notifiable disease under the Health Protection (Notification) Regulations 2010, the GP will report this to the Health Protection Agency. When the setting becomes aware, or is formally informed of the notifiable disease, the manager informs Ofsted and acts on any advice given by the Health Protection Agency. HIV virus, like other viruses such as Hepatitis, (A, B and C) are spread through body fluids. Hygiene precautions for dealing with body fluids are the same for all children and adults. Single use vinyl gloves and aprons are worn when changing children’s nappies, pants and clothing that are soiled with blood, urine, faeces or vomit. Protective rubber gloves are used for cleaning/sluicing clothing after changing. Soiled clothing is rinsed and either bagged for parents to collect or laundered in the nursery. Spills of blood, urine, faeces or vomit are cleared using mild disinfectant solution and mops; cloths used are disposed of with the clinical waste. Tables and other furniture, furnishings or toys affected by blood, urine, faeces or vomit are cleaned using a disinfectant. Nits and head lice are not an excludable condition, although in exceptional cases a parent may be asked to keep the child away until the infestation has cleared. On identifying cases of head lice, all parents are informed and asked to treat their child and all the family if they are found to have head lice. When parents start their children at the setting they are asked if their child suffers from any known allergies. This is recorded on the registration form. The nature of the allergic reactions e.g. anaphylactic shock reaction, including rash, reddening of skin, swelling, breathing problems etc. This form is kept in the child’s personal file and a copy is displayed where staff can see it. Parents train staff in how to administer special medication in the event of an allergic reaction. The insurance will automatically include children with any disability or allergy but certain procedures must be strictly adhered to as set out below. For children suffering life threatening conditions, or requiring invasive treatments; written confirmation from your insurance provider must be obtained to extend the insurance. Asthma inhalers are now regarded as “oral medication” by insurers and so documents do not need to be forwarded to your insurance provider. Oral medications must be prescribed by a GP or have manufacturer’s instructions clearly written on them. The group must be provided with clear written instructions on how to administer such medication. All risk assessment procedures need to be adhered to for the correct storage and administration of the medication. The group must have the parents or guardians prior written consent. This consent must be kept on file. It is not necessary to forward copy documents to your insurance provider. Adrenaline injections (Epipens) for anaphylactic shock reactions (caused by allergies to nuts, eggs etc) or invasive treatments such as rectal administration of Diazepam (for epilepsy). proof of training in the administration of such medication by the child’s GP, a district nurse, children’s’ nurse specialist or a community paediatric nurse. Key person for special needs children – children requiring help with tubes to help them with everyday living e.g. breathing apparatus, to take nourishment, colostomy bags etc. Prior written consent from the child’s parent or guardian to give treatment and/or medication prescribed by the child’s GP. Key person to have the relevant medical training/experience, which may include those who have received appropriate instructions from parents or guardians, or who have qualifications. We follow the guidelines of the Reporting Injuries, Diseases and Dangerous Occurrences (RIDDOR) for the reporting of accidents and incidents. Child protection matters or behavioural incidents between children are NOT regarded as incidents and there are separate procedures for this. are reviewed at least half termly to identify any potential or actual hazards. any dangerous occurrences. this may be an event that causes injury or fatalities or an event that does not cause an accident, but could have done: such as a gas leak. We have ready access to telephone numbers for emergency services, including local police. Where we are responsible for the premises we have contact numbers for gas and electricity emergency services, carpenter and plumber. Where we rent premises we ensure we have access to the person responsible and that there is a shared procedure for dealing with emergencies. We keep an incident file for recording incidents including those that that are reportable to the Health and Safety Executive as above. In the incident file we record the date and time of the incident, nature of the event, who was affected, what was done about it – or if it was reported to the police, and if so a crime number. Any follow up, or insurance claim made, should also be recorded. In the unlikely event of a terrorist attack we follow the advice of the emergency services with regard to evacuation, medical aid and contacting children’s families. Our standard Fire Safety Policy will be followed and staff will take charge of their key children. The incident is recorded when the threat is averted. In the unlikely event of a child dying on the premises the emergency services are called, and the advice of these services are followed. We make necessary adjustments to our bathroom provision and hygiene practice in order to accommodate children who are not yet toilet trained. Key persons have a list of personalised changing times for the young children in their care who are in nappies or ‘pull-ups’. Young children from two years should wear ‘pull ups’ or other types of trainer pants as soon as they are comfortable with this and their parents agree. Key persons undertake changing young children in their key groups; back up key persons change them if the key person is absent. Changing areas are warm and there are safe areas to lay young children if they need to have their bottoms cleaned. Each young child has their own bag to hand with their nappies or ’pull ups’ and changing wipes. Gloves and aprons are put on before changing starts and the areas are prepared. Paper towel is put down on the changing mat freshly for each child. All staff are familiar with the hygiene procedures and carry these out when changing nappies. In addition, key persons ensure that nappy changing is relaxed and a time to promote independence in young children. Young children are encouraged to take an interest in using the toilet; they may just want to sit on it and talk to a friend who is also using the toilet. They should be encouraged to wash their hands and have soap and towels to hand. They should be allowed time for some play as they explore the water and the soap. Anti-bacterial hand wash liquid or soap should not be used for young children. Key persons are gentle when changing; they avoid pulling faces and making negative comment about ‘nappy contents’. Nappies and ’pull ups’ are disposed of hygienically. Any soil (faeces) in nappies or pull ups is flushed down the toilet and the nappy or pull up is bagged and put in the bin. Cloth nappies, trainer pants and ordinary pants that have been wet or soiled are rinsed and bagged for the parent to take home. NB If young children are left in wet or soiled nappies/’pull ups’ in the setting this may constitute neglect and will be a disciplinary matter. Settings have a ‘duty of care’ towards children’s personal needs. This setting regards snack and meal times as an important part of the setting’s day. Eating represents a social time for children and adults and helps children to learn about healthy eating. We promote healthy eating using resources and materials and at snack and meal times, we aim to provide nutritious food, which meets the children’s individual dietary needs. We record information about each child’s dietary needs in her/his registration record and parents sign the record to signify that it is correct. We regularly consult with parents to ensure that our records of their children’s dietary needs – including any allergies – are up-to-date. Parents sign the up-dated record to signify that it is correct. We display current information about individual children’s dietary needs so that all staff and volunteers are fully informed about them. We implement systems to ensure that children receive only food and drink that is consistent with their dietary needs and preferences as well as their parents’ wishes. We display the menus of meals/snacks for the information of parents. We include foods from the diet of each of the children’s cultural backgrounds, providing children with familiar foods and introducing them to new ones. We take care not to provide food containing nuts or nut products and are especially vigilant where we have a child who has a known allergy to nuts. Through discussion with parents and research reading by staff, we obtain information about the dietary rules of the religious groups to which children and their parents belong, and of vegetarians and vegans, and about food allergies. We take account of this information in the provision of food and drinks. We require staff to show sensitivity in providing for children’s diets and allergies. Staff do not use a child’s diet or allergy as a label for the child or make a child feel singled out because of her/his diet or allergy. We organise meal and snack times so that they are social occasions in which children and staff participate. In accordance with parents’ wishes, we offer children arriving early in the morning – and/or staying late – an appropriate meal or snack. We inform parents who provide food for their children about the storage facilities available in the setting. For children who drink milk, we provide pasteurised milk. ensure staff sit with children to eat their lunch so that the mealtime is a social occasion. School meals prepared in the primary school kitchen. At least one person has an in-date Food Hygiene Certificate. Any confirmed cases of food poisoning affecting two or more children looked after on the premises are notified to Ofsted as soon as reasonably practicable, and always within 14 days of the incident. Discovery Vine believes that children flourish best when their personal, social and emotional needs are met and where there are clear and developmentally appropriate expectations for their behaviour. check that all staff have relevant in-service training on promoting positive behaviour. We keep a record of staff attendance at this training. We recognise that codes for interacting with other people vary between cultures and require staff to be aware of – and respect – those used by members of the setting. We familiarise new staff and volunteers with the setting’s behaviour policy and its guidelines for behaviour. We expect all members of our setting – children, parents, staff, volunteers and students – to keep to the guidelines, requiring these to be applied consistently. Details of such an event (what happened, what action was taken and by whom, and the names of witnesses) are brought to the attention of our setting leader and are recorded in the child’s personal file. The child’s parent is informed on the same day. We recognise that babies and very young children are unable to regulate their own emotions, such as fear, anger or distress, and require sensitive adults to help them do this. Common inconsiderate or hurtful behaviours of young children include tantrums, biting or fighting. Staff are calm and patient, offering comfort to intense emotions, helping children to manage their feelings and talk about them to help resolve issues and promote understanding. If tantrums, biting or fighting are frequent, we try to find out the underlying cause – such as a change or upheaval at home, or frequent change of carers. Sometimes a child has not settled in well and the behaviour may be the result of ‘separation anxiety’. Where this does not work, we use the Code of Practice to support the child and family, making the appropriate referrals to a Behaviour Support Team where necessary. A child who is bullying has reached a stage of cognitive development where he or she is able to plan to carry out a premeditated intent to cause distress in another. Bullying can occur in children five years old and over and may well be an issue in after school clubs and holiday schemes catering for slightly older children. we share what has happened with the parents of the child who has been bullied, explaining that the child who did the bullying is being helped to adopt more acceptable ways of behaving. This setting believes that the health and safety of children is of paramount importance. We make our setting a safe and healthy place for children, parents, staff and volunteers. She has undertaken health and safety training and regularly updates her knowledge and understanding. We have public liability insurance and employers’ liability insurance. The certificate for public liability insurance is displayed in the entrance hall. We keep a record of all substances that may be hazardous to health – such as cleaning chemicals, or gardening chemicals if used. This states what the risks are and what to do if they have contact with eyes or skin or are ingested. It also states where they are stored. Low level windows are made from materials that prevent accidental breakage or are made safe. Windows above the ground floor are secured so that children cannot climb through them. Storage heaters are checked daily to make sure they are not covered. Our pool/pond is securely covered or otherwise guarded. ensuring individual use of flannels and towels. We ensure all employed staff have been checked for criminal records by an enhanced disclosure from the Criminal Records Bureau. Children benefit from being taken out of the setting to go on visits or trips to local parks or other suitable venues for activities which enhance their learning experiences. Staff in our setting ensure that there are procedures to keep children safe on outings; all staff and volunteers are aware of and follow the procedures below. Our adult to child ratio is high, and set depending on their age, sensibility and type of venue as well as how it is to be reached. Staff take a mobile phone on outings, and supplies of tissues, wipes, pants etc as well as a mini first aid pack, snacks and water. The amount of equipment will vary and be consistent with the venue and the number of children as well as how long they will be out for. Staff take a list of children with them with contact numbers of parents/carers. This setting believes that the health and safety of children is of paramount importance. We make our setting a safe and healthy place for children, parents, staff and volunteers by assessing and minimising the hazards and risks to enable the children to thrive in a healthy and safe environment. Where more than five staff and volunteers are employed the risk assessment is written and is reviewed regularly. We maintain lists of health and safety issues, which are checked daily before the session begins as well as those that are checked on a weekly and termly basis when a full risk assessment is carried out. The basis of fire safety is risk assessment. These are carried out by a ‘competent person’. The manager has received training in fire safety sufficient to be competent to carry out risk assessment. practised regularly at least once every six weeks. We take account of the views of parents and children when selecting an animal or creature to keep as a pet in the setting. We ensure the correct food is offered at the right times. We make sure all vaccinations and other regular health measures, such as de-worming are up-to-date and recorded. Children are taught correct handling and care of the animal or creature and are supervised. Children wash their hands after handling the animal or creature and do not have contact with animal soil or soiled bedding. Staff wear disposable gloves when cleaning housing or handling soiled bedding. Outdoor footwear worn to visit farms are cleaned of mud and debris and should not be worn indoors. We comply with health and safety regulations and the Welfare Requirements of the EYFS in making our setting a no-smoking environment – both indoor and outdoor. The no-smoking policy is stated in our information brochure for parents. We provide information in different languages if required. .
We take action against any discriminatory behaviour by staff or parents. Displaying of openly discriminatory and possibly offensive materials, name calling, or threatening behaviour are unacceptable on or around the premises and will be dealt with in the strongest manner. We have regard for the DfES Special Educational Needs Code of Practice (2014). We ensure that the provision for children with special educational needs is the responsibility of all members of the setting. We use the graduated response system for assessing and responding to children’s special educational needs with four stages of action: assess, plan, do and review. We work closely with parents of children with special educational needs to create and maintain a positive partnership. We ensure that parents are informed at all stages of the assessment, planning, provision and review of their children’s education. We liaise with other professionals involved with children with special educational needs and their families, including transfer arrangements to other settings and schools. We provide a broad, balanced and differentiated curriculum for all children with special educational needs. We ensure that children with special educational needs are appropriately involved at all stages of the graduated response, taking into account their levels of ability. We have systems in place for supporting children during Wave 2, Wave 3, Statutory Assessment and the Statementing process. We use a system for keeping records of the assessment, planning, provision and review for children with special educational needs. We provide resources (human and financial) to implement our Special Educational Needs Policy. We provide in-service training for parents, practitioners and volunteers. We raise awareness of any specialism the setting has to offer, e.g. Makaton trained staff. We ensure the effectiveness of our special educational needs provision by collecting information from a range of sources e.g. Individual Education Plan reviews, staff and management meetings, parental and external agency’s views, inspections and complaints. This information is collated, evaluated and reviewed annually. We ensure that information about our setting is accessible, in written and spoken form and, where appropriate, in more than one language. Where necessary, we will try to provide information in Braille, or through British Sign Language. We will provide translated written materials where language needs of families suggest this is required as well as access to an interpreter. Our aim is to support parents as their children’s first and most important educators by involving them in their children’s education and in the full life of the setting. We also aim to support parents in their own continuing education and personal development. Some parents are less well represented in early years settings; these include fathers, parents who live apart from their children but who still play a part in their lives as well as working parents. In carrying out the following procedures, we will ensure all parents are included. We have a means to ensure all parents are included – that may mean we have different strategies for involving fathers or parents who work or live apart from their children. We ensure ongoing dialogue with parents to improve our knowledge of the needs of their children and to support their families. We inform all parents about how the setting is run and its policies through access to written information and through regular informal communication. We check to ensure parents understand the information that is given to them. We inform all parents on a regular basis about their children’s progress. We inform parents about relevant conferences, workshops and training. We inform all parents of the systems for registering queries, complaints or suggestions and check to ensure these are understood. All parents have access to our written complaints procedure. We provide opportunities for parents to learn about the curriculum offered in the setting and about young children’s learning, in the setting and at home. These are usually kept in the setting and can be freely accessed, and contributed to, by staff, the child and the child’s parents. These confidential records are stored in a lockable file or cabinet and are kept secure by the person in charge in an office or other suitably safe place. Students undertaking recognised qualifications and training, when they are observing in the setting, are advised of our confidentiality policy and are required to respect it. Lease documents and other contractual documentation pertaining to amenities, services and goods. All records are the responsibility of the management committee who ensure they are kept securely. The setting leader informs the management committee and sends a written acknowledgement. The setting’s leader or manager and a representative from the management committee prepare the file for viewing. The setting leader and chairperson of the management committee go through the file and remove any information which a third party has refused consent to disclose. This is best done with a thick black marker, to score through every reference to the third party and information they have added to the file. The ‘clean copy’ is photocopied for the parents who are then invited in to discuss the contents. The file should never be given straight over, but should be gone through by the setting leader, so that it can be explained. We recognise that parents have a right to know that information they share will be regarded as confidential as well as be informed about the circumstances, and reasons, when we are obliged to share information. To prevent significant harm arising to children and young people or serious harm to adults, including the prevention, detection and prosecution of serious crime. Our procedure is based on the 7 golden rules for information sharing as set out in Information Sharing: Guidance for Practitioners and Managers (DCSF 2008). Our policy and procedures on information sharing provide guidance to appropriate sharing of information with external agencies. Be open and honest. Explain to families how, when and why information will be shared about them and with whom. Seek consent to share information, unless it puts the child at risk or undermines a criminal investigation. Seek advice when there are doubts about possible significant harm to a child or others. Managers contact children’s social care for advice where they have doubts or are unsure. Managers are conversant with this and are able to advise staff accordingly. Consider the safety and welfare of the child when making a decision about sharing information – if there are concerns regarding ‘significant harm’ the child’s well being and safety is paramount. follow the procedures for reporting concerns and record keeping. Our Child Protection procedure and Record Keeping procedure set out how and where information should be recorded and what information should be shared with another agency when making a referral. Reasons for decisions to share information, or not, are recorded. Parents sign a form at registration to say they understand this. Parents are asked to give written consent to share information about any additional needs their child may have, or to pass on child development summaries, to the next provider/school. Copies are given to parents of the forms they sign. Is there legitimate purpose to sharing the information? If the information is confidential, do you have consent to share? All the undertakings above are subject to the paramount commitment of the setting, which is to the safety and well-being of the child. Please also see our Safeguarding Children and Child Protection policy. Staff from other agencies do not have unsupervised access to the child they are visiting in the setting and do not have access to any other child(ren) during their visit. 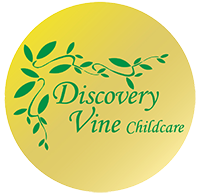 Discovery Vine Ltd believes that children and parents are entitled to expect courtesy and prompt, careful attention to their needs and wishes. We welcome suggestions on how to improve our setting and will give prompt and serious attention to any concerns about the running of the setting. We anticipate that most concerns will be resolved quickly by an informal approach to the appropriate member of staff. If this does not achieve the desired result, we have a set of procedures for dealing with concerns. We aim to bring all concerns about the running of our setting to a satisfactory conclusion for all of the parties involved. All settings are required to keep a ‘summary log’ of all complaints that reach stage two or beyond. This is to be made available to parents as well as to Ofsted inspectors. If this does not have a satisfactory outcome, or if the problem recurs, the parent moves to this stage of the procedure by putting the concerns or complaint in writing to the setting leader and the management committee. If the parent is not satisfied with the outcome of the investigation, he or she requests a meeting with the setting leader and the management committee. The parent should have a friend or partner present if required and the leader should have the support of a member of the management committee, present. The mediator keeps all discussions confidential. S/he can hold separate meetings with the setting personnel (setting leader and the management committee) and the parent, if this is decided to be helpful. The mediator keeps an agreed written record of any meetings that are held and of any advice s/he gives. Parents may approach Ofsted directly at any stage of this complaints procedure. In addition, where there seems to be a possible breach of the setting’s registration requirements, it is essential to involve Ofsted as the registering and inspection body with a duty to ensure the Welfare Requirements of the Early Years Foundation Stage are adhered to.